Aparna and Srinath are the quintessential 21st century couple. 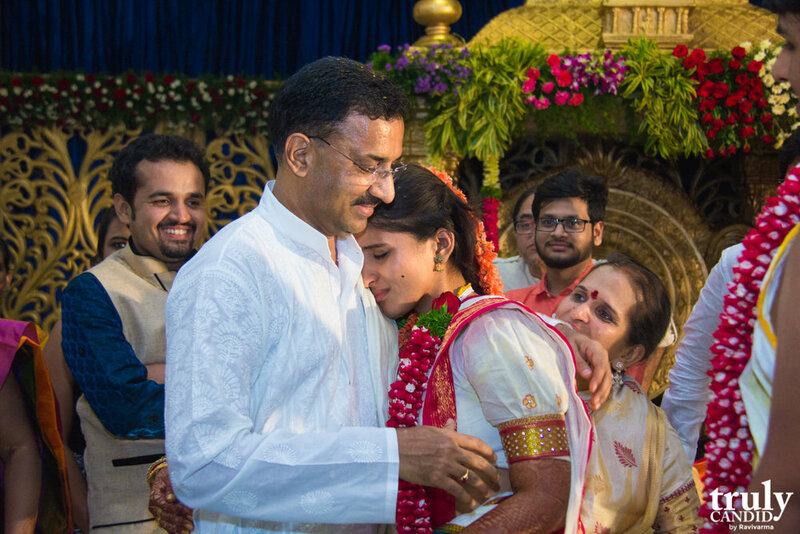 Both well educated and career oriented based out of Hyderabad this bubbly sweet couple thoroughly enjoyed their wedding giving us the opportunity to capture some beautiful candid moments. This is their story in Aparna's own words. 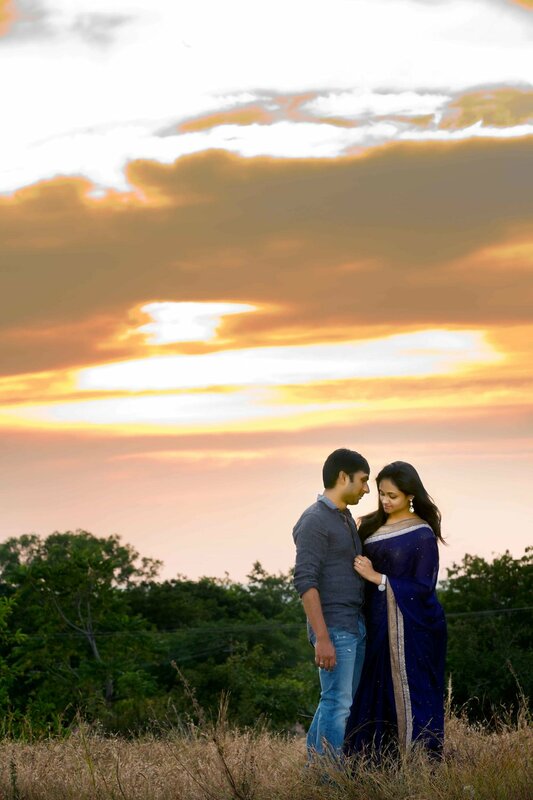 Thanks Aparna and Srinath for choosing us to shoot your most important memories. Siri and I were colleagues in our previous work place.Like any routine couple we thought we were just friends and today we are happily married. When I look back to how it started..I am happy, amazed and surprised to see how things have transformed from then. Siri always wanted a low key wedding and I wanted it the elaborate way.. We thought we would go with a mix of both and at the end I am sure we are happy with the outcome. We thoroughly enjoyed our wedding & Trulycandid team beautifully captured each of those moments! Pre-Wedding Couple Shoot and Tips to make the most of it? A Pre-Wedding Couple Shoot is not just to capture some shots for your new profile pic to announce to the world of your engagement. It is for YOU as a couple to celebrate your love and bonding that you share with each other. To capture the Romance that has been making you dizzy! 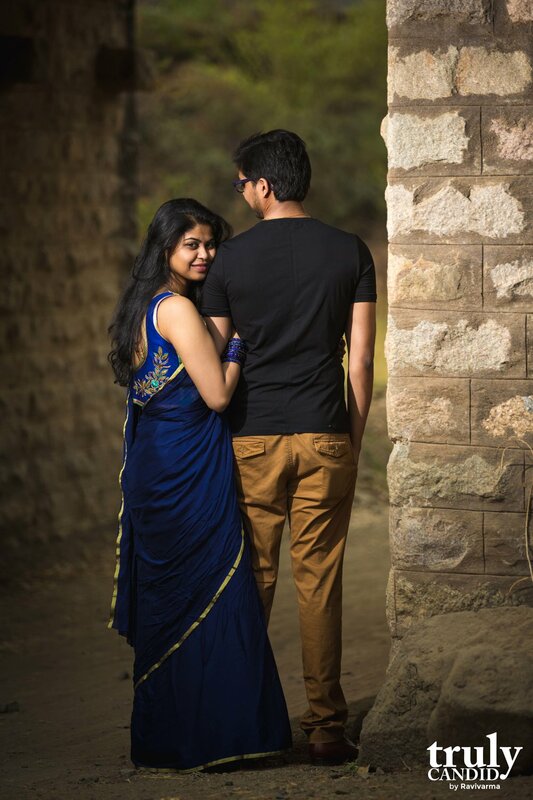 As a photographer a Pre-Wedding Couple Shoot is an opportunity for us to get to know you, as a couple better. To know how you react to a camera, to make you comfortable when being documented, to understand which profiles of yours are most attractive and to light up the romance a tad bit more so we can get the best shots. 1. Make yourself comfortable:Don’t overdo any poses that you may not be comfortable with. This shoot is for you as a couple and does not have to be a competition with some other friends that you might know of. Every couple has their own equation so YOUR - should be You are unique and like no other. 2. Get your partner onboard: Make your partner understand that this is important for you but don’t force them into coming onboard if they are not comfortable. Remember you are a team and both parties should be on board to make the journey complete. 3. Meet your photographer before the shoot: Make it a point to meet your photographer for coffee before the actual shoot. It is very important that the photographer and you are comfortable with each other, take time to talk to them and understand their style. This ensures for great pictures. 4. Pick a Location: If you are comfortable with a particular location then let your photographer know. If you are looking for more than 1 dress change then choose a resort even if it means that you might have to shell out some extra cost. If you are comfortable in public you can choose a park as well but note that nowadays photography is not allowed in most parks. 5. Enjoy the Day: Finally, take your time to prep for the shoot before the actual pictures are taken. Be comfortable in your clothes and skin. Enjoy your partner’s company and enjoy the date. It is important that you two enjoy each other and the day for the pictures to turn out awesome. So take it slow and have fun. And Brides this one is especially for YOU from Trulycandid team. You are exquisite, very beautiful, unique and a wonderful person so Don’t believe for a second if somebody told you previously that you are not photogenic or you should not laugh with your mouth open. Laugh out Loud Brides, enjoy your Day because you are our center of attention and leave it to us to photograph you beautifully. You definitely deserve it and you have all our best intentions at heart. Pictures Checklist for your wedding! Getting Married this Summer, Use this checklist to talk to your Photographer! Hearty Congratulations to all you amazing couples on taking "The Decision". 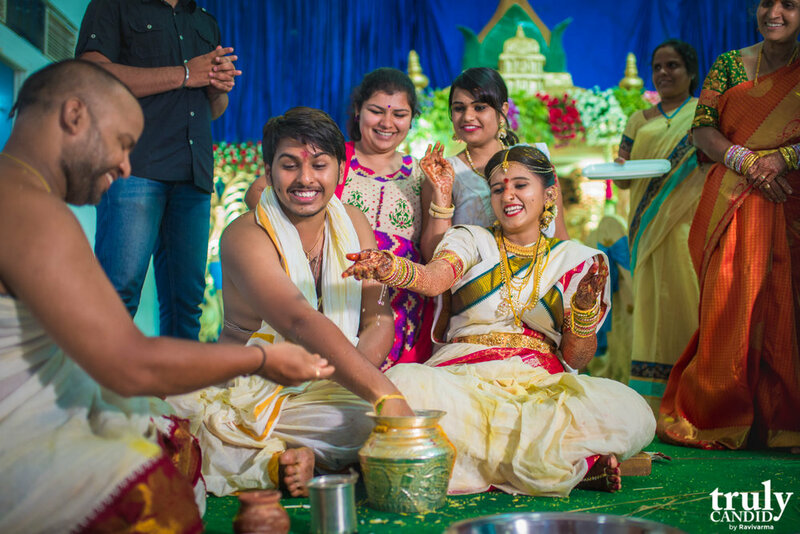 On this amazing journey of yours let us help you make the most of the "Fun, Emotional & Fulfilling Memories" that should be captured by any adept photographer for memorable moments. Follow this checklist for the discussion with your photographer. Fun pictures of bride with friends. Pictures of relatives/guests blessing the bride. Candid shots of of bride & her parents enjoying the moments. Fun pictures of bride & groom with friends. Candid shots of of bride & the groom. 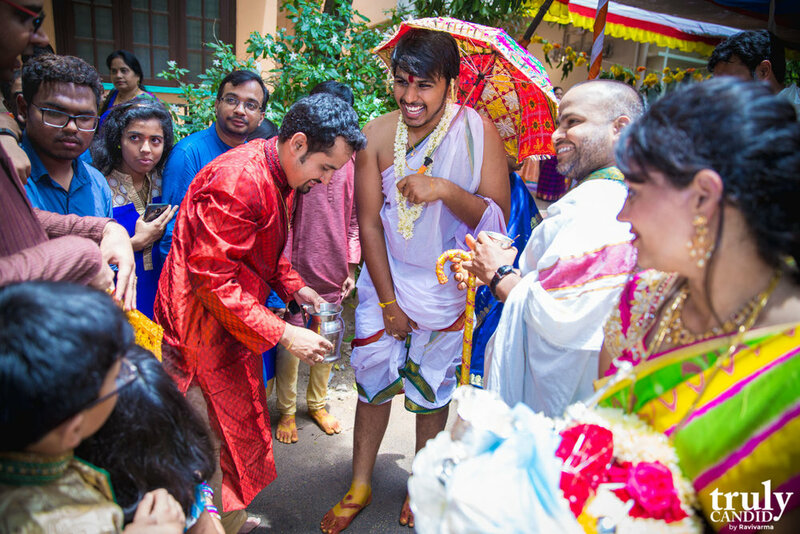 Haldi application of bride & groom. Fun pictures of family applying Haldi. Groom's Sherwani & getting ready. Bride with her friends & Groom with his friends. Full length shot of Bride after getting ready. 2. The Ceremony: Ceremony gives us a wide scope to really capture the candid moments that pass between the couple & the relatives. 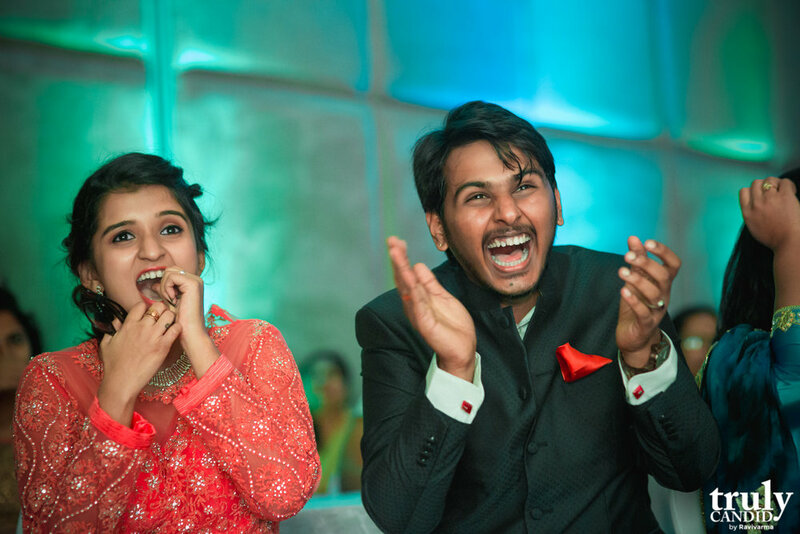 Emotions of Bride while getting into the Mandap. Serene expression while she is having the Thali tied. Shoots of rituals during the ceremony. Photos of the couple dancing. Photos of Family & Relatives having fun. Emotional picture of the Bride & Family. 1. Bachorlette: Most important part of a Bride life's before she takes the next step. 2. Couple Location Shoot: Every Couple should definitely take up a couple location shoot. The beauty of these pictures will just grow on the couple as they age. 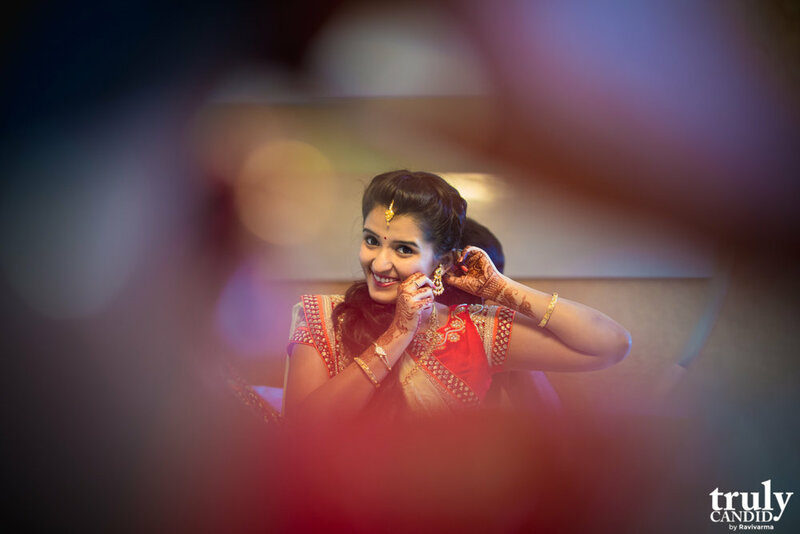 Last five years wedding photography in India has seen a paradigm shift. In terms of people involved in the profession, skill set, equipment used and also spending power of to be wed. The start of this decade has seen a lot of them form IT and management take a leap into wedding photography as a full-time profession. 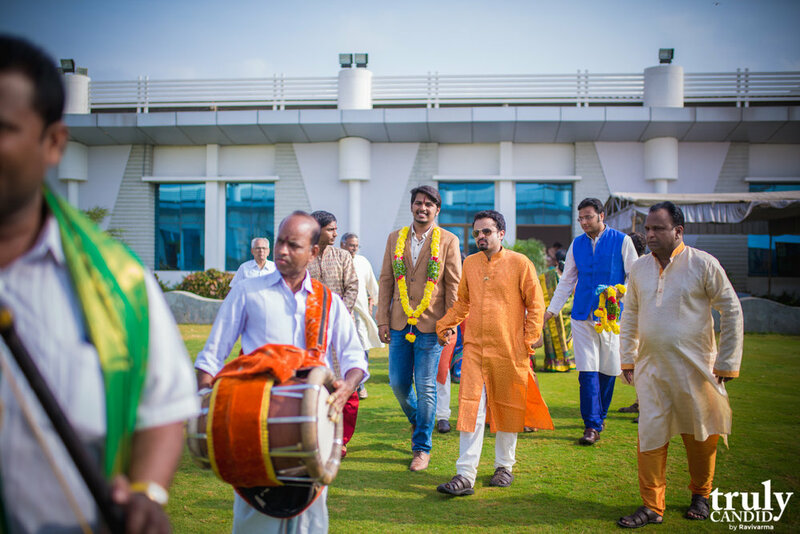 With a new breed of people taking this profession, who are better exposed to western style and standards of work in wedding photography the standard of wedding photography in India have raised. This same time has also seen technology cost coming down so professional DSLR cameras are available at an affordable price. And also around same time 2011 has seen Facebook being popular and people started sharing personal images in social space. 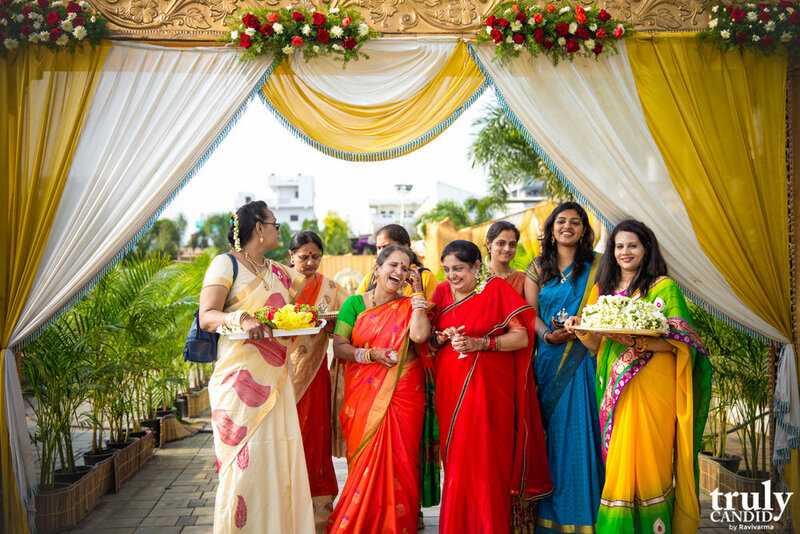 This new phenomenon has added fuel to wedding photography revolution in India. With all the above things coming together last five to six years wedding photography has seen a complete change. Now it's shaped as a matured industry, with industry leaders setting a benchmark. And now we also have well managed and curated marketplaces for wedding photography.